Green Flash Brewing Company, the once prevalent San Diego-based outfit is back on the scene with a new identity for 2019, after foreclosing on the original brewery business and a sale to a Michigan-based equity firm in mid-2018. With their fresh look comes a refined logo (finally! 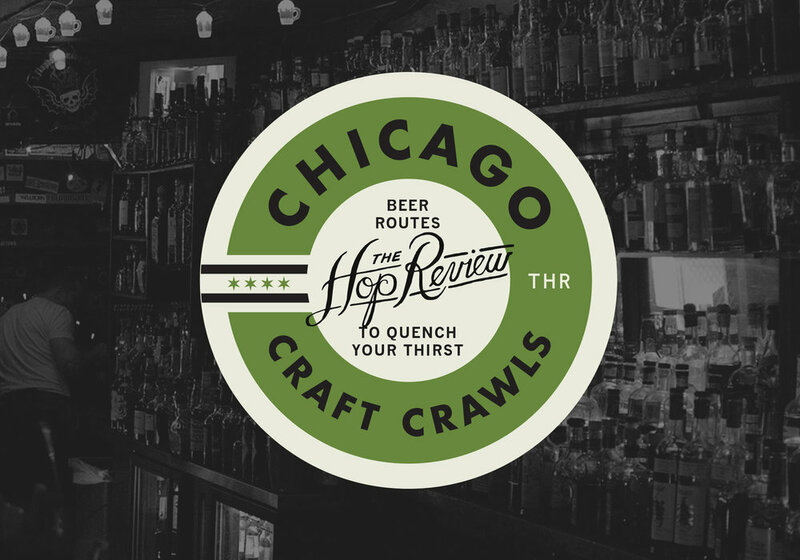 ), a brighter color palette, bold typography, and a step away from their previous, distinctive–and fairly awkward–bottle silhouettes. Another welcomed return is the brand’s “highly anticipated return of the original 7.0%-ABV West Coast IPA,” which had been a staple in their portfolio since the brewery’s beginning in 2002. 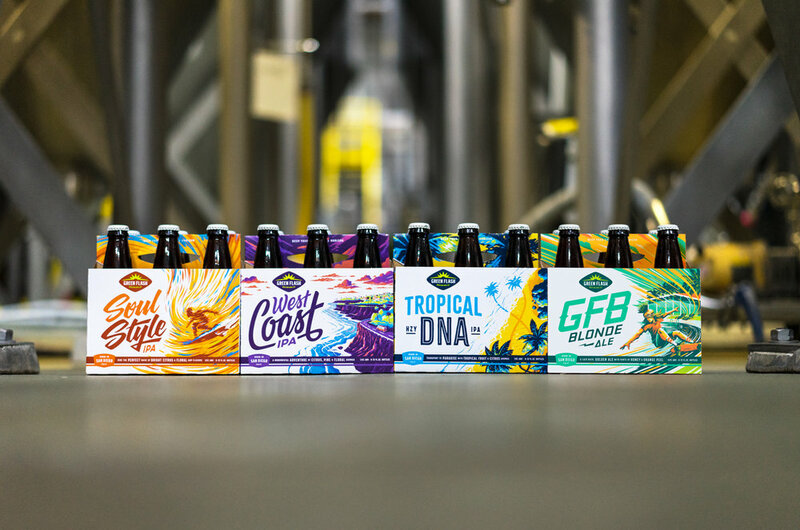 A lineup of core beer–West Coast IPA, Tropical DNA (hazy IPA), Soul Style IPA, GFB Blonde Ale–will be the focus for Green Flash in 2019, with a strong roster of rotating special release beers. Additionally, all core beers will now, additionally, be offered in 12-ounce cans. Our new visual identity represents a dramatic shift for the Green Flash brand and reinforces its origin as one of the original San Diego craft beers. As the craft-beer landscape evolves, Green Flash remains focused on innovating its beers and packaging to meet the diverse and changing expectations of drinkers. Images from Green Flash Brewing.